At the Brixton Pound, we believe that businesses have a role to play in shaping and strengthening the area they do business in. Through our community investment scheme at Pop Brixton, we find ways to help businesses give back to the local community through a weekly volunteering commitment. Are you a local community group or school who could benefit from our scheme? We've launched a survey to explore how our social exchange project, the Pop Brixton Community Investment Scheme, can help local residents and community groups. If you live in Lambeth or run, volunteer at or are part of a local project or community group, we want to hear from you! Projects working with hard to reach or excluded groups are particularly encouraged to apply. We believe that businesses have a role to play in strengthening and supporting the communities in which they make money. At the Brixton Pound, our vision is of an alternative, more social economy - one that works for everyone. As part of this we run a scheme through which local community groups, charities and schools can access workshops, talks, skillshare sessions and other activities run by local businesses - for free! Each trader participating in the scheme has committed 1 hour per week to voluntary work in some form. There are over 50 traders in Pop - so that's over 2000 hours of free support waiting to be claimed! 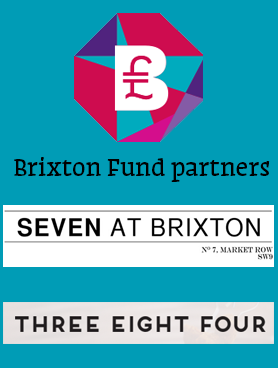 The Brixton Pound acts as a community broker for this project. If you've got something you need help with - it could be setting up a simple website, producing some publicity materials, advice on fundraising, person-power for a community group (really, anything: let your imagination run wild!) - then come and ask us for it! Work with young people who'd appreciate a little inspiration regarding the world of work? Traders can give inspirational talks about how they've made their business dreams a reality, from concept to fully fledged company, and offer work experience. Know a group of people who'd love to come to a DJing workshop, or take a course to develop barista skills? We've got a bunch of traders who are willing to offer hands-on activities like these. Maybe you're a school and you'd like some business owners to come along and give a talk at your school careers fair, or at an assembly. Or perhaps you work with people looking to take their first steps into starting their own businesses, or who would benefit from developing their skills in a particular business area, such as branding & marketing, food retail, sales? We can arrange workshops on a variety of business skills.